I was fortunate to be asked back to moderate this fantastic annual event hosted by the Realtors of the Palm Beach Beaches and Greater Fort Lauderdale. The discussion varied and the overall mood was one of optimism. 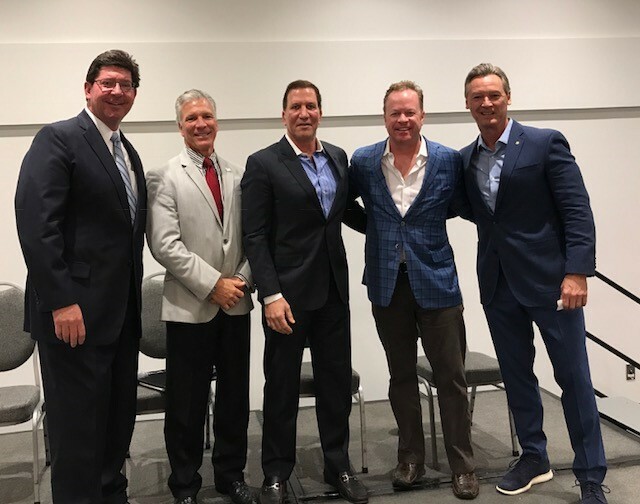 This year’s panel consisted of Paul Marko – President of Stiles Realty, David Coddington – VP of Business Development for the Greater Fort Lauderdale Alliance, Steven Michael – Founder and Principal of Hudson Holdings and Chad Moss – EVP of Moss Construction. Five key takeaways are presented below. Plenty of Steam Left in the Engine – the panelists overwhelmingly felt that there was still a good three to five years left in this current expansion cycle and the current local economy is very good. Given that it started in 2011 this would make the current expansion one of the longest on record. All felt that the South Florida economy is one of the most robust in the country. Live/Work/Play – the panelists all felt that more and more people want to live, work and play in an urban setting. The panelists also felt that trends in mass transit will continue to spur transit-oriented residential development. There was also optimism about the positive impacts of mass transit. Honey I Shrunk My Unit Size – the panelists all felt that more people will continue to be renters by choice and developers will increasingly deliver micro-units in order to keep costs down. There is also a focus on better project amenities and public spaces. They all felt that rental rates increases that have occurred in the recent past are not sustainable. Bricks and Sticks – construction costs will continue to rise gradually but the worst of the increases in material costs is over. One concern however is a potential increase in labor costs due to post hurricane clean-up efforts in Southwest Florida and Houston. Thick Red Tape – the panelists all expressed frustration with the permitting and approval process taking much too long in most local jurisdictions. The economic costs of these delays to communities are massive according to one panelist. Walter Duke + Partners is a comprehensive commercial valuation advisory and consulting company that provides critical analysis and market metrics to corporate, government, and private clients nationwide throughout Florida. Since 1975, the company has completed over 15,000 assignments more than $30 billion. Walter Duke + Partners is located in Fort Lauderdale with satellite offices in Tampa and Palm Beach.